Every development and production specialist knows it! Quartz can’t handle ultrasonic welding and cleaning. The quartz resonators are damaged by the high-frequency welding or cleaning process. The clocking specialist PETERMANN-TECHNIK from Landsberg am Lech is the first in the world to present an SMD quartz in miniaturised ceramic housing measuring 3.2×2.5 mm, which was specially developed to handle ultrasonic-based welding and cleaning. A sensation! In the meantime, the SMD quartz in 3.2×2.5 mm/4pad housing (series SMD03025/4) has become the cheapest miniaturised SMD quartz in ceramic housing. For this reason, it is only logical that the quartz suitable for ultrasonic welding and cleaning is available in the housing that is in greatest demand, 3.2×2.5 mm/4pad. The SMD quartz suitable for ultrasonic from the “SMD03025/4US” series can be welded and cleaned by ultrasonic. In doing so, this quartz, whose quartz resonator has a special fixed ultrasonic limit, is designed for ultrasonic frequencies of 15 kHz, 20 kHz, 35 kHz and 40 kHz. 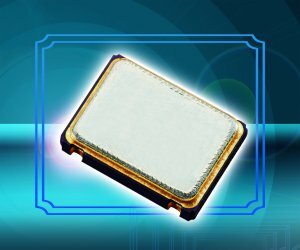 The “SMD03025/4US”, available with a frequency range of 12–40 MHz, can be shipped with frequency tolerances starting at ±10 ppm at +25 °C and with temperature stabilities beginning at ±10 ppm beyond the temperature range of -20/+70 °C. Beyond the industrial temperature range of -40/+85 °C, the closest temperature stability is ±15 ppm. Because of the very affordable price, the ultrasonic-resistant all-rounder, which is manufactured in clean rooms, can be used in any application that demands very inexpensive SMD quartz with excellent parameters and outstanding durability, such as in the automotive, medical, embedded, industrial, commercial, WIFI, wireless (WLAN, ISM, KNX, ZigBee, Z-Wave, etc. ), consumer and telecommunications sectors and more. Of course, the range of PETERMANN-TECHNIK products also includes 32.768 kHz solutions (quartzes and ultra low power oscillators). In addition to the very extensive product range, the specialists at PETERMANN-TECHNIK also provide comprehensive product advice. Very comprehensive circuit analyses/circuit simulations can also be performed by in-house engineering as needed. These analyses are carried out based on the DIN/IEC60444 standards for oscillating crystals and include oscillation safety tests (determination of the exact oscillation reserve), determination of the piezoelectricity and many other tests. The incredibly extensive final report provides insight on the connection, will confirm the correct dimensioning of the tested circuitry or may contain proposals for adjustment. Support for this series is carried out in coordination with the customer’s engineering, purchasing, production and QA departments. The aim is to make use of a very extensive range of services to be able to facilitate a fast time to market for the customer.